Vehicle-specific Flip Kits relocate a truck's rear axle from below leaf springs to above for dramatic lowering. Kit components are premium powdercoated steel. Hardware and Belltech C-Section included with kits. 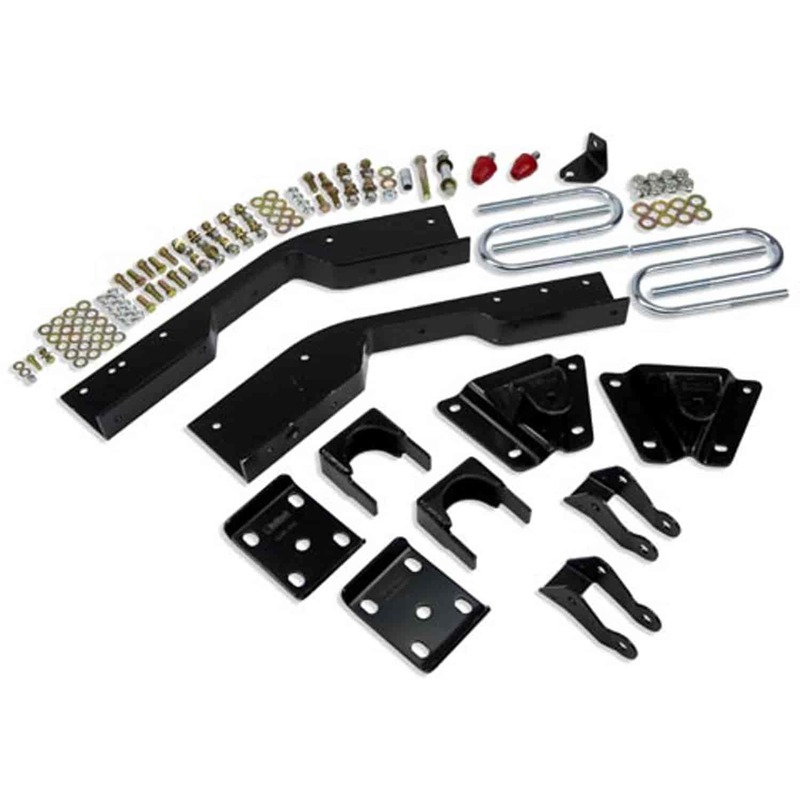 Also known as C-notch kits, C-Sections are designed to increase overall suspension travel on trucks with lowering kits that limit rear axle travel. Belltech's powdercoated stamped steel C-sections are contoured to match factory framerails and include Grade 8 hardware. Does Belltech 6620 fit your vehicle?